When Gaston Bachelard spoke of Desire Paths, he meant poets in corporations and corporations in communities, intentional living in spaces shaped by love and attention. The poet works to articulate that. Follow the nation's 1st corporate poet, A. K. Allin, as she finds her way in a world of steel and glass. Contact: mimiallin@gmail.com | 617.460.6110. 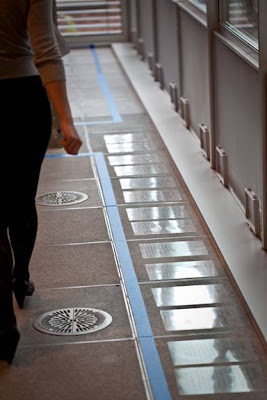 On Monday, March 29, 2010, hundreds of Blue Morpho butterflies (Morpho Menelaus) are predicted to descend on the public sculpture, Baladeuse, in Seattle’s historic Alley24. Seattle’s first and only migration of Morpho Butterflies, with their metallic, shimmering shades of blue, is expected to attract hundred of peepers and transform Alley24 into social meeting ground. Alas, though, the Blue Migration will last only two short weeks, so hurry on down and don’t forget your camera! Seattle resident and installation artist, A. K. Mimi Allin, wishes to address the ways in which public art and public space come to mean. How can a sculpture, without plaque or provenance, come to signify? How do spaces become places? 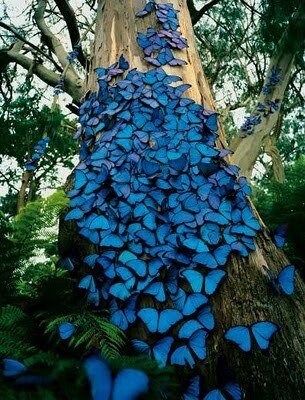 Allin will fuse and cut light and dark blue silk to craft fabric butterflies for this migration. Alley24 connects residents, shoppers and workers along Yale & Pontius Streets. At the heart of the alley stands Baladeuse, 18’ tall, 17-sided and lit from within. Baladeuse is French for wanderer or lantern. Those who live and work in Alley24 are quick to respond with, “I love it” or “I don’t care for it,” but Allin questions their taste. She believes relevance, and not matter, makes an object mean and that by imparting relevance, we can drag an object out of the pale and into the system. In the relevance model, it is meaning that imparts value and, well, that’s what poets were put here to do. Educated at City University of New York in Museum Studies and Poetry, Allin is keenly aware of the predicament of art and artists in modern America. She believes that, in our product-driven world, it’s hard for people to know what they want and believe. Allin has a unique relationship with Alley24. In January 2010, she became the nation’s first corporate poet when she partnered with global architectural and design firm and Alley24 resident, NBBJ. She was testing a model for cooperation between poets and corporations and that model was supported by a CityArtist grant from The City of Seattle Arts & Cultural Affairs. 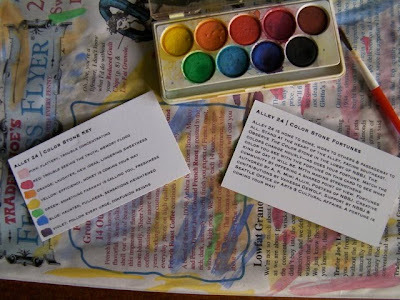 For more info about this project, see: http://corporate-poet.blogspot.com/. Now at the end of a 2-month residency, Allin is stepping out the doors and into the alleyway. This move from private to public, a sort of backward permeation, seems a natural way to go, considering the intentions of Alley24. The wonderful Paula Wissel produced a fabulous report on my corporate poetry residency for 88.5 KPLU's Artscape, which airs this week. You can hear and read this broadcast by clicking the link above. Hoorah for KPLU (my radio preset for jazz and news radio). Heartfelt thanks to Paula Wissel and to Adopt-A-Poet granter, The Seattle Office of Arts & Cultural Affairs, for their faith and support. Who loves the radio? I do! I do! Studio-Current announced its first speaker, A. K. Mimi Allin, in a new Artist Talk Series that began on Sunday March 14 @ 5PM. Allin is the recipient of a 2009 CityArtist Grant for her project "Adopt-A-Poet." The talk was hosted by Vanessa DeWolf and facilitated by Karl Thuneman. A. K. Mimi Allin, poet-in-residence at NBBJ (a leading global architecture and design firm based in Seattle), spoke about the nation's first corporate-poet residency, brokered by the artist in January 2010. Allin rowed daily in a little wooden rowboat across Lake Union to get to work. Once there, she presented a number of poetry-driven installations such as "The Blue Line," "No Swimming," "Blind Poet," and "Dear Architect." After the presentation, there was a brief reading of original poetry produced during the residency and a guided discussion with an open Q & A.
Allin received funding from The Seattle Office of Arts & Cultural Affairs for Adopt-A-Poet. Her intention was to craft a new model for artists and corporations, to suggest a dynamic and symbiotic residence. Now in its final stages, Allin is reaching out to the community to talk about the project. If you would like to schedule a presentation at your school or organization, contact: mimiallin@gmail.com. The talk raised a number of challenging questions, such as, how restrictive is it for an artist to work within the confines of commerce, either in a space or an organization? What is artistic freedom and where can it be achieved? How does an artist who goes into a corporation keep from becoming corporate themselves? How can we call this model a success when it failed to produce true corporate backing in the form of continued funding? Paul Wissel of KPLU was in attendance and recording the event. Paula is preparing a piece on Adopt-A-Poet for the station's new arts program, Artscape. This piece will be aired on Monday 22 March at 5:30am and again at 7:30am that same day. 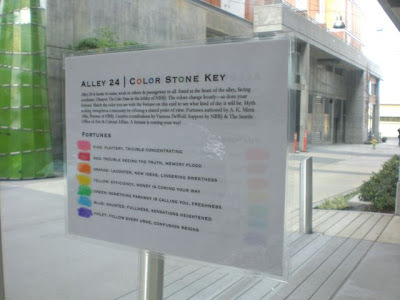 I announced The Color Stone project today, posting signs inside for the NBBJ workers and in the windows for residents and delivery persons in Alley 24. 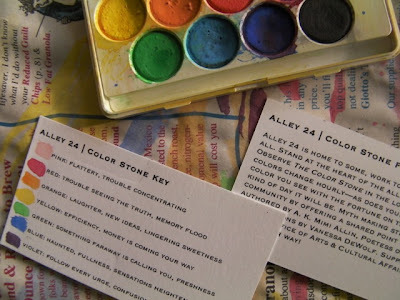 I left a healthy stack of Color Stone wallet cards on the common tables at NBBJ then wandered around the block, handing out Color Stone Fortune Cards to the commercial business operators down Yale, Thomas and Pontius. I met lots of friendly and receptive folks as I went around the block. Pemco and Vulcan, who own this land, make a point of leasing to single-owner, local businesses and thus supporting the community model at Alley 24. Having dropped into every single business for a chat, I can say it makes a huge difference! The owners were naturally vested in the community. In most cases, I was talking to the owner and they were, across the board, interested in me and my project. Nine businesses currently operate around the block: Southlake Grill, MAD Pizza, Snowboard Connection, Tottini, Golf, Velocity Design, Espresso Vivace, Spa Blix, Bebi’s sandwich shop and Stretch Physical Therapy. 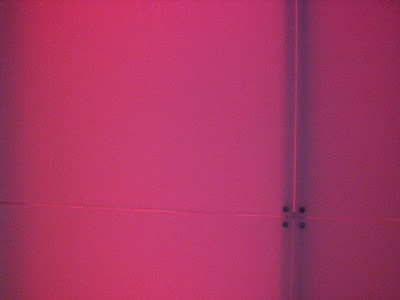 The goal was to assign significance to the colors in the light wall. The wall is floor-to-ceiling, in the main lobby at NBBJ, and faces the alley. It is clearly visible to anyone passing by in the alley. The colors are vibrant and change hourly. I had the idea to imbue them with meaning so they'd become common signifiers for the workers, residents and users of Alley 24. They are especially visible early and late in the day, but you can see them on a bright day if you get close or look through the apertures on the solid side of the wall. Color Stone is a Cornerstone that combines fun and myth to build community. Happy Fortunes to you all! I’m working now with the Alley 24 Leasing Office to prepare a final project, an alleyway project, called Migration. It's still a secret, but once permitted I'll announce details and a date. I hope to install in the next few weeks. The Color Stone and this final alleyway project are my ways of gently transitioning from private to public space, a sort of backward permeation. Moving towards the community seems a natural way to go, considering the careful intentions of Alley 24. I removed a significant portion of The Blue Line today which, for me, marks a significant shift. Those who saw me doing this questioned me. The first woman to remark said she was just back from a long stint out of state. It was her first look at The Blue Line. She didn't want it to go. I said, “It’s sad, but it’s got to go.” She replied stiffly, “Why does it have to go!” Hmm. Tough question. I gave her a few poorly thought out reasons then questioned myself. Does it have to go? Now? And why? I continued pulling up the line, questioning my reasons. Within a few hundred feet, I came to a firm stance. Yes, the line had to go. Here are the reasons why. I spent the day in a common workstation at NBBJ painting color chips onto wallet-sized fortune cards. I use this toy German watercolor set. 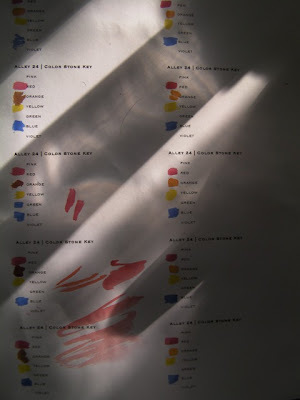 A week ago, I read about color theory and color in design and dreams. I spent some time then watching the color wall in the lobby at NBBJ, writing the landscapes, emotions and affects these colors had on the immediate environment. I brought in a friend and we wrote together about this. From our work, I composed little fortunes to correspond to each color. Now when you walk into or past NBBJ and the wall is yellow it means something. Sudden Significance. The wall changes colors slowly over the course of the day. It takes one hour for the wall to shift from blue to purple. At noon, I was invited to attend a project review with pizza. It was a strong presentation by the waterfront tunnel operations team. Massive fans will keep the tunnel aerated and free of carbon monoxide. The buildings that house these fans are called lungs. Nice! I was delighted to see a show of colored hand drawings on the projection screen. For the first time, the slide show was more interesting than what was going on in the room! There was no wind in the trees, the birds were not in a flocking mood, the people were all hiding in cars, but the shading and textures in the drawings took my eyes and mind on a journey and that was a significant event. It drew me into a visual participation. You can have your computer renderings. Give me a line drawing. I learned the tunnel-boring machine used for the project will be 400’ long. Wow. Imagine the mole’s surprise! They called the area south of Pioneer Square "The Greater Duwamish Industrial Zone." I like this, better than Sodo. “Pioneer Square desperately needs some residential.” Agreed. Seattle has been bringing in artists with short-term projects to solve the social woes of the area, when what it really needs is a stronger, ongoing community of residents. “Here is an idea that will reconnect South Lake Union with the center of the city.” I’ve felt this disconnection, but I’ve never articulated it. Interesting to question how our various neighborhoods are connected or disconnected, what fights the connection, what aids it. “There are no zoning requirements on chimneys.” Makes me want to build a chimney house. We saw an array of venting buildings from all over the world. Those in Boston take on the cladding of their environment. Those in New York are monumental and heavy and screen a thing you presumably don’t want to see. Most of the international examples are crazy and sculptural. And then I heard it! The unthinkable. “We’re building a lifelong building here, not a 20-30 year structure.” Wow. Sounds downright un-American. It's got me wishing all buildings housed significant venting machines. I spent the day filtering the color writing Vanessa and did into single line fortunes, then laid that out into business card format and printed and cut a few hundred wallet-sized cards. The plan now is to paint color chips onto each card by hand. This will take a few days and will happen in a public space at NBBJ so the community there can observe and inquire about the project. Vanessa and I met for a second time to write about the NBBJ Color Stone. After a half hour of writing colors (today we wrote red and orange), we worked to distill our ideas into single-sentence answers. I made a few color sheets, painted with patches watercolor. 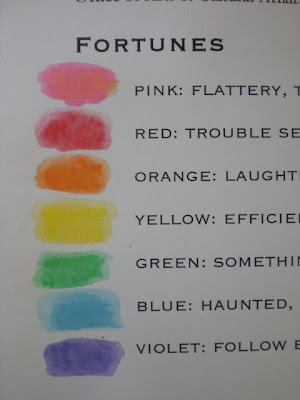 We used these to complete a 3-step process, which yielded wonderful, silly, symbolic fortunes (or indications) based on the colors of the wall. We learned, by observation, that the colors change hourly. They slide from left to right, through the colors of the rainbow. The panels are never one solid color. They are usually a mix of two colors, pulling like a curtain to the side, so while one part is deep red, the other is more rosy and the end pink. If you were to glance at the wall in passing, you would see only one color. For this is the impression they give. But closer inspection says otherwise. I began lifting The Blue Line this morning. While I was waiting for Vanessa, I took up the section in the main lobby. It is sticking in the heavy traffic areas, where it bends around the lobby couches and in at the stairwell. This was to be expected, but slow pulling at an angle helps. I have lots of practice pulling tape from my boat yard days. Once the tape was gone, the area looked bare. The space changed dramatically. It opened up, the temperature dropped and the world felt less defined. I’m sad to see it go. Alas, but change is my name. The South Lake Union Rotary Club meets on Fridays at 7am at the Center for Wooden Boats. Due to dock construction at the CWB, this morning’s meeting was held at the Amory Building next door. Breakfast was served--coffee, donuts, bagels and fruit! The members gathered around, nibbling and chatting, conference style and Betsy called the meeting to order. She'd already set up the computer and projector. The group put special thought into my visit and had poets and poems to share. How nice. After a few introductions, we were directed to the screen and watched a TED Talks video of a poet doing a performance piece on the value of a good teacher. A second TED Talks video, Rives on 4am, was shown. This one was more entertaining and comical. Afterwards, someone in the group gave a hoorah for the quality of the talks on TED. After that, the committees gave their reports. The work the reported on spanned from the assembling of water purification thermometers for nations in need, to organizing scholarships for high school students wanting to attend business week at a local university. Russ introduced me by reading a poem of mine he'd found online. He did a perfect reading of roof of air. Very impressive! I was asked to come and talk about my work as a corporate-poet. 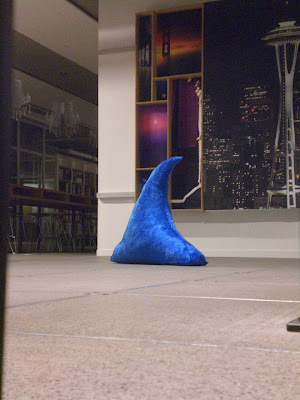 I’d prepared a little slide show of the installations I was doing at NBBJ. I just barely got through the show when my time was up. Alas, the questions would have to wait. I was thanked and presented with a bag of mandarins and a gift donating, in my name, 100 pounds of food to local food banks. Very thoughtful. I stayed and chatted with a few members. I'd never before been to a Rotary Club meeting and was intrigued to know what they looked like. This group is small in comparison to some, I am told. Most surprising to me was the cost of membership and the monthly dues. I certainly couldn't afford to join, even with the stimulus plan they are offering (no dues for the 6 months). I suppose that’s the point though, a group of people with means coming together to help those without. I am thankful to the Rotary Club for inviting me, for their hospitality and for the opportunity to consider the whole of my work at NBBJ. Kris and Cherie came up from Kent to attend Vespers with me. We met at St. Spiridon at 5:30pm. Kris has been studying the French composer Frederic Mompou in whose works, I read, the bells are audible. She came to hear the bells of St. Spiridon. Alas, they were in a minor car accident and missed the bells, but I heard all of them. Glorious! Kris and Cherie arrived just as the service was starting and we went in together. The flavor of the Vespers was very different than the Sunday service. There were only about 20 people present, no children. All the candles dangling in their red votive glasses before all the saints in gold frames lining the walls appeared to have inner volume. The altar and dome lights went on and off twice during the mass which changed and heightened the candlelight that followed. There were two priests presiding over the mass. Each wore a different tall velvet hat. Their outfits changed periodically. One held the bible, the other waved the incensor. Twice, they circumnavigated the room and the congregation moved in together, the way a flock of birds might change direction to face the wind, to let them around and then be blessed. We made it one hour into the service before the group needed to go off for dinner reservations. Kris made some interesting observations about the choir. We all noticed the man at the front of the group who was pulling his hair out. I wandered through the office today with a sign around my neck, "Take a Poetry Break," and an envelope full of poems. Psst—want a poem? Floor 3 was partly empty, but I wandered around anyway, offering my wares. Many were too busy to partake, some were on the phone or engaged in their work so I left them be. I found more success on floor 2. It felt like a good thing to do, to throw out the seeds of poetry. It felt remarkable too, that so many were reading poems simultaneously in this one building. I imagined the temporary, palpable community it was forming, the way freak weather (heavy winds, hail, brown-outs) forms community. The way a community formed when a truck hung in the balance off of I-5 and everyone came to the windows to take pictures and talk. A brief but deep community based on a shared experiences of the world. 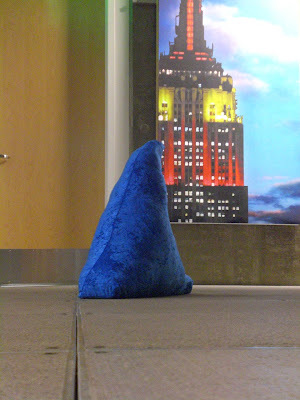 I invited a friend to join me tonight to write about the color wall or Color Stone at NBBJ. There is a 2-story wall which changes colors throughout the day. 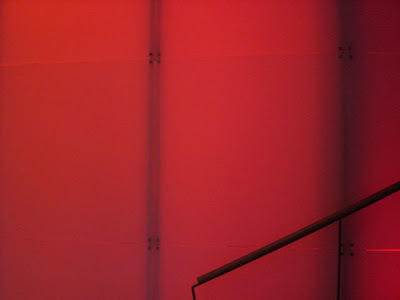 One side of the wall faces towards the alley and is made of opaque panels to show the colors, the other side of the wall faces the Giant Steps and shows color through only two slim apertures, a vertical one near the base of the steps and a horizontal at the top. This gives a bit of Villa Savoy and Dan Flavin feeling to the wall. We chose to meet in the evening as we thought it would be the best time to observe the colors. Vanessa Dewolf is a modern day Gertrude Stein, at the center of the performance art scene in Seattle. She runs a studio on Capitol Hill and acts as a hub for dancers, writers and performers of all kinds (improv, contact improv, actors, dancers, performers, playwrights, directors, poets and more). It is Vanessa who begins the dialog about the artist’s practice and about the ways in which we can improve our viewing of art. I’ve known Vanessa for 3 years and, in that time, she has worked and performed in Seattle, Oregon, New York, Pennsylvania and Germany and has facilitated Field sessions, taught classes at DAGMar and provided countless artists with residencies, showings and feedback opportunities. She is a boon to the arts community. I carried the overhead projector and my box of transparencies down to the Great Steps. I plugged in, aimed the projector at the two-story white wall, pulled up a chair and began writing. I wrote letter and letter. For 5 hours, I wrote. The letters all began with the same salutation, “Dear Architect,” It was the building's turn to talk. 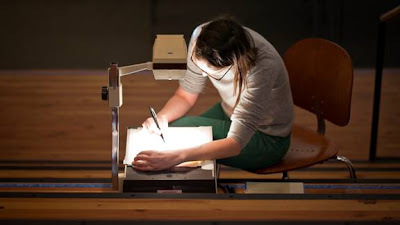 I sat facing the projector, looking into the light, my arm resting on the light table. I weighed the way I was feeling with the way the building was feeling. I weighed what I’d learned with what I’d dreamt about buildings. I considered what a building might know and remember with what it might miss and long for. I considered the facts. This wall was solid. It had no window, no doorway, no stairs. I considered what every building wants to be with what this building was and how to reconcile those two. I took the opportunity to air my feelings, to give thanks, to question and make jokes. Below are some sample letters. Darling, I’m leaving you. You stood me up the other night and I just can’t accept that. There are other buildings out there, I know, who will catch your eye, have caught your eye. I need some time alone to think about things. I’ll call you. A quick note about that coffee stain on the floor. I’m over it. Not a big deal at all. I’m sorry I got so bent out of shape. You’re busy of course, and human. We all make mistakes. Forgive me for mentioning it. I wanted to give you some flowers and say thank you for your glorious footfall, the movement you do through me all day. Of all the things, it resounds the most, moves my walls & floors & windows the most. It might be imperceptible to you, but to me—woah, O! Make me flexible. Make me sensual. Sensitive. Subject to shame and pride. Bring the rain inside. Let the sighs out. Open the windows. Let the ants march in and do their work. But don’t forget the trumpeter. Don’tt forget the elephants, the winged thing, the red ball in the attic. O give me an attic! Give me a place to store up my play and dreams and fears and wonderings. Let a river flow down my steps and pool for my pondering feet and eyes. Give me a cellar to catch and store my coolness. And give me ears to hear it all. O give me nothing I do not deserve! I’m putting in for my vacation time. I’ve got three months saved up and I plan to use them this summer to travel down the Columbia River by sailboat. You’ll have to find a way to work without me, a new shelter system, while I’m gone. Certainly, without my walls, doors, windows, stairs and elevators, life will be different, but perhaps there’s something to be gained from going without and feeling the wind and rain for a while. Thank you for your assistance with this. I finished up a last letter and rushed out at 3pm, by automobile, to meet with the folks at The Phinney Center. The short-term fate of my monthly series, Untitled [Intersection], would be determined today. After 3 years, my poetry & performance art series is morphing form a demanding showcase of artists to a sustainable experience in art. I'm meeting with the directors to feel out their interest in supporting this new format. And I’m determined, more than ever, to find the right home for this series. In part, I owe this calm pursuit to my work with NBBJ. Once you’ve been so well supported, it is hard to accept any less. Follow your heart. 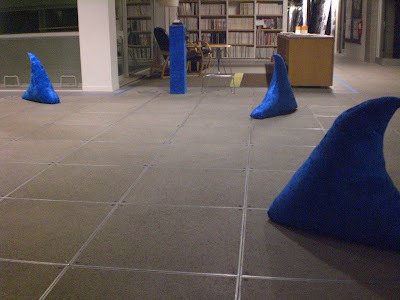 Untitled [Intersection] began in 2007 as an invitational event. Two poets and a performance artist were brought together to present new work. The hope was that their work might find some overlap, cross-fertilize and invigorate. The new format, Write to Move, is about activating all sides into a living experience. It’s about exploring movement and translating that into writing. Each month, a new performer (dancer) will move for an hour while a group of artists and writers gather around to respond. Some will write. Some will draw. Others will compose scores for movement. The test-class in January yielded some exciting results and spurred a rich discussion of work and methods. I spent the afternoon on the 2nd floor, in the NBBJ library, copying images from The Encyclopedia of Design onto transparencies. I wasn’t sure what the morrow would bring and wanted to have some things at the ready. Tomorrow was to be another aka project at NBBJ. This one would be called Dear Architect. 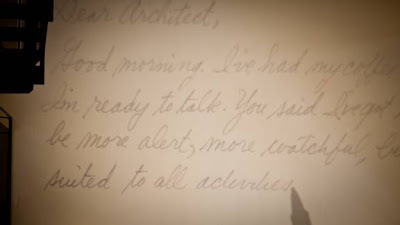 The idea is to write letters from the building to the architect on the wall, using an overhead projector. In preparation, I copied the outlines of many an historic object, which actually just became a nice meditation. I drew a Tiffany lamp, a bottle of Chanel No. 5, a Coke bottle, a box of McDonald’s fries. I drew buildings, chairs, couches, irons and vacuums. I even wrote out a few Gaston Bachelard quotes. I spent some time online then, researching overhead projectors and art projects. I came up with a few interesting items. There are artists who make dramatic and ephemeral sand art drawings on overhead projectors. As soon as an image is made, it is wiped away and another is started atop it. There is a group in Germany that sponsors a week of overhead projector art. Then there is local artist Frank Junk who with his friend Mark uses overhead projectors to mix colors and designs which shine through spinning bicycle wheels onto the walls. Suddenly, my simple idea to write letters to the architect seemed too simple. Sometimes too much research takes you farther afield than you need to go. What does my project need to be? Sitting at the projector tomorrow will tell me. After a few tries earlier this week, I finally got to lunch with Michael of the IT department. Michael was one of the first people I really talked to at NBBJ, generous, easy-going, friendly. We walked out, in the light rain, across Boren to Soup Daddy’s. Surprisingly, I didn't eat my bread bowl. I must not rowing hard enough. Hm? I inquired with the sandwich clerk about the brass bell atop the counter. When does this bell ring? We ring it when people order the Big Meal. The Big Meal is $13. No one ordered the Big Meal while I was at Soup Daddy's. Michael and I got onto the topic of boats and I learned that he once worked as an engineer on a vessel touring the South Pacific. He's been diving in Madagascar and Tonga and Indonesia and Japan. No wonder the smirk! 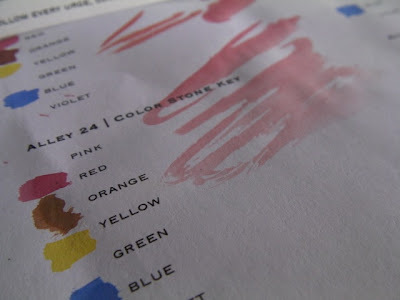 I spent my afternoon researching and collecting materials on color theory. I found a good bit information online about how color affects our moods and how they are used in interiors and what they mean in dreams. 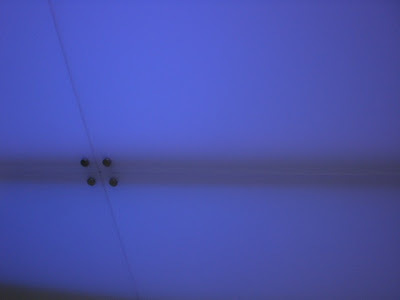 I'm preparing to write a color code for the opaque plastic, paneled wall encasing a series of LED lights that runs from the first floor through the ceiling to the ceiling above the lunchroom. I am told it runs all the way up the building. After my research, I'll spend time observing the walls and sitting nearby writing. Then, hopefully, I'll condense that into a pithy, card-friendly, fortune key so you know what it means when you arrive and see the color green. What does it mean when you pass the wall and it is blue? I want this to be an event. I want it to mean something. 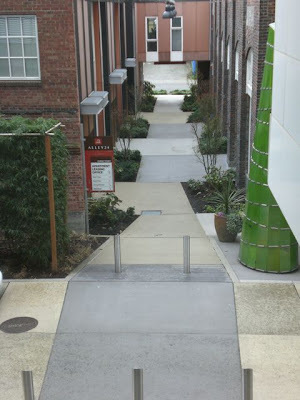 And not only to workers at NBBJ, but to those passing in the alleyway, from the residents of Alley 24 to the store owners and the shoppers who frequent the shops around the block. Even the delivery person should know what a red wall indicates. And they will. Once I've got a code key worked out, I'll post a sign in the window and make wallet-sized versions to offer passersby. I'm hoping to offer, with this simple key, an ongoing, meaningful experience in the alleyway. I'm hoping to provoke community through shared knowledge, shared myth-making. A knowledge that transcends glass and concrete and brick and offers a weave of experience and memory. One month ago, NBBJ opened its doors to me, offered me a space to work, a supportive audience and an invitation to play. I’ve never felt so supported and welcomed in all my life. It’s been truly heavenly to work within these walls, with these alert, creative, responsive people. Now that my month is officially up (ended 5 February 2010), I'm thinking about the model we built and wondering, will other corporations support this model? Will they confirm the value of this work with a dollar amount? Having gotten so much positive feedback, I decided to ask this question while I'm still at NBBJ. No, my work is not yet finished, but is there a desire to have me stay? I composed a letter to the firm, requesting matching funding and suggesting an interest in staying on for a month. I’m waiting for the response. Will I be granted an extension? I have so much still to do. Will my CityArtist grant be matched? At the completion of my residency, I will have received $5800 from the City of Seattle's Office of Arts & Cultural Affairs for a full month of work, plus time spent organizing the residency and writing, formatting and printing a chapbook. What a boon a matching grant would b!! $5800 is half a year's salary to me. Though funding was never expected, it would set a strong precedent for the corporate-poet model and underline the kind of support a corporation is willing to give a poet, the value they place on the experience. What with corporate coaching and team-building workshops and the money spent on increased production and job satisfaction, perhaps a poet stands a chance? Rubbing elbows with innovation. And yet.. the air is tight, the economy is tough. And I have no string. See me rise and fall. I met a poet for lunch today, Michael Schein, director of LitFuse, an annual poetry festival in Tieton, WA. I’ve been on the LitFuse faculty for 2 years, since Michael asked me to teach a Guerilla Poetry class in 2008. Michael was responsible for a new direction in me. He got me started thinking how I might foster my public urge in others. He’s come to discuss this year’s event with me. 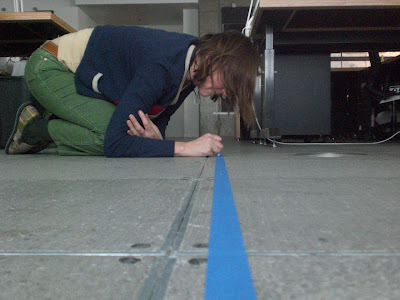 I spent my afternoon keying in the never-ending Blue Line. Now that it’s in my notebook, I have the job of transcribing it from there into my computer. Workworkwork. Night Is Falling has me looking for a column to address. I have an idea for a final project, for the effect of the poet's true departure which will indeed be light night is falling. I walk around observing columns. There are columns embedded in walls, corner columns, hidden columns, dead end columns and bold ones at the tops of the stairs. Which is the most lovely? Which the most secret? Which the most archival? Which the most dreamy? And which does my project want--a bold or a reclusive column? Still thinking. Still thinking. It is 10pm when I row home. I wear my down jacket zipped up all the way. My hands are numb. I have no gloves. The lights in the houseboats are out. This is my latest row yet. I am hunting for food. Sniff sniff. I see an otter in the water. It’s dark, how can I be sure? The surface, at night, is rife with silhouettes. Every disruption is keen. The lights from the hills reflect perfectly on the lake, which is icy, still and crystalline. It felt like a holiday card, a Scandinavian nativity scene. It is cool and clear. I rowed in at the leisurely hour of 10am. I got to work at 11 and hid in the red armchair in the corner of Café Vivace. This is the beginning of the week after the-week-I-was-scheduled-to-leave. I am not sure if I am still welcome or if I am in the way. I do not yet know what or when my final presentation will be. I am waiting to hear. I am fielding small passes, “When are you leaving?” “We love having you,” “Stay as long as you can.” I’d still like to finish a few projects, address a few spaces. Slink. Slink. I spent 4½ hours in Cafe Vivace, updating my blog. Documentation takes a lot of my time, about a day a week. From 3:30–7pm, I am back at my computer, at my desk, plugged in, dealing with mail, perfecting my blog. I left my boat at the CWB again and took a ride home. I'm feeling like a day-old balloon, wandering around low to the ground. What will become of me? Will the winds be favorable? I did not come into NBBJ this weekend. I am giving up hopes of completing The Blue Line. Perhaps this is what it means to let go? Knowing how much to give and when to let go. Perhaps these are the keys to maintaining your health as an artist? I spent my morning racing around Fremont and Ballard, gathering supplies for a final NBBJ project. I went to Joann’s and Fusion Beads then stopped by the bank. It's rent day today. Woe woe! I’m borrowing this month. Outside of a school loan when I was a student, this is the first time I've ever had to borrow money to pay the rent. I knew it was going to be close, what with the grant money coming in after the project is complete. A circle of stress. I did my best to relax at Lighthouse Coffee. I spent the afternoon transcribing my Blind Poet notes into my computer. I got half way through and called it a day. After writing all day, I began to recognize that the experience of sitting and listening was more important that the written results. The real results were my observations. It's good to recognize what you're doing, see the beginning and end of your work. On top of writing in the round and documenting my activities at NBBJ, so many of my projects need transcribing into a computer to save them. 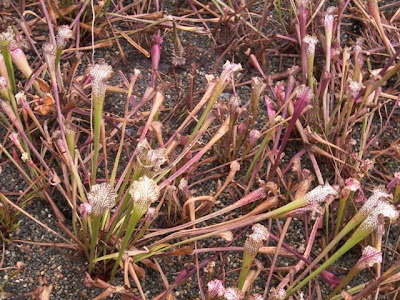 What if I were to leave them to erode and fade? What if it were all to disappear? This I am ok with. 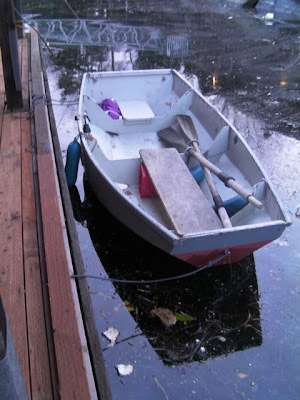 Wisely, I’d left my boat on the south shores of Lake Union last night, and so I took a ride into work. I was still feeling a little sick, but today was The Poetry Charette, my Poetry Charette, so I had to be there. I arrived mid-morning and spent some time looking at some possible locations for a final installation. Scheming, I am. Those who saw me near my poetry columns asked, Are you editing your work? No, no, just looking. I’d have to do this at night, late at night. Too many eyes in the day. I’m planning to leave a little magic behind, but I want to do it right, do it in secret. I prepared a set of exercises and questions, hoping to get to the heart and soul of NBBJ. I asked those who came to remember and dream. If they wanted to talk, we talked. If they wanted to write, they wrote. In the evening, I sent the same questions by e-mail. One person responded to that e-mail. Those who responded were all people I'd made a personal connection with. Connections are important when it comes to collaboration. Here are the questions I posed. Draw, very carefully, using a precise instrument, an outline of the NBBJ project you’re working on. Draw the same project again, on a different page, as quickly as you can, using a fatter tool, such as a piece of charcoal. * Create an annually recurring ritual to renew the heart & soul of NBBJ. Explain who is involved, in what season it occurs and the elements and words necessary to carry it out. * Imagine the great floods have come. The building floats off like a ship. Where is the prow? Where is the engine room? What is the anchor? Where does the ship go? 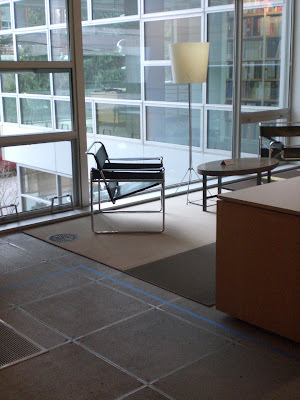 * The heart and soul of NBBJ were transferred from Pioneer Square to South Lake Union in 2006. Describe how these items were transported and what the trip was like. * Imagine for a moment that NBBJ, from the front door to the 3rd floor, is the extent of the known world. You have just arrived from a distant galaxy and go about surveying the territory. This is where you will live now full time. In what place do you settle and why? * Buildings have safety mechanisms and procedures for dealing with fire, earthquakes and other natural disasters. Imagine the safety mechanisms and procedures for dealing with the renewal of a building’s spirit. Describe the mechanisms and write out the procedure. List the date you arrived at NBBJ. Describe yourself, as you were then, in one sentence. List the date you arrived at NBBJ. Recall something, an object or a sensation, that made an impression on you the day your entered. Grant is an architect’s architect and a very gentle soul. He drew me a picture of the project he’s working on and talked about the site NBBJ was built on. He pointed to the site of a building as its heart and suggested how a strong and lasting memory might attest to a building’s soul. He was talking about the World Trade Center – an interesting looking back, like rowing a boat. We talked about the ways in which NBBJ lives in the projects it designs and how a soul might be scattered through many projects. Then came Christian, who offered much in the way of himself and left a comet blazing in me. Christian is an architect and a fine artist. I suspect his heart is split among many places. I imagine him in a pear tree, among grape vines in southern France, as an old man, working on his art. I imagine all of these people out on their patios, walking into the fields, the sun and wind in their hair, with their families, in the landscape. You can see their sources in their smiles. Duane arrived next, excited about the project he’s working on, the firm’s most energy efficient project to date. He offered a glimpse of the firm at its former location and the shock of the sudden change on his psyche from old to new space. And Maggie was last. She fleshed out the experience of finding this warm and wonderful family. She shared her delight at the firm’s sense of humor and play. Stacks of green plastic crates on carts, ready to pack and shuffle a studio off to a new floor,flank the copier rooms. In the early evening, I too moved my things. I went from a window desk on an inside corner to a flex area on the aisle. Things!? 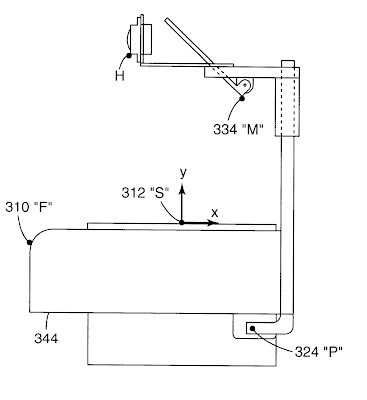 What things could I possibly have to move? Oh, I have a mishmash of items for projects I’d hoped to pursue. Under my desk, I have four bags of rice, 8 boxes of rock candy, an overhead projector, a old record player, four jazz albums, a hammock, a stack of notes from all the meetings I’ve attended, drawings on trace paper, a library of poetry books and an art box with watercolors, pencils and charcoals. Some of these items will be used, some won’t be. I’ve been working long hours and weekends too, but a month still feels too short. Perhaps I want too much? Ouch my head. On the row in, my lower back was saying No no no. Usually this work limbers me up, relaxes me, irons out the kinks. Today, it felt damaging. I spent some time transcribing my notes from Blind Poet into my computer, but felt worse and worse and finally cancelled my only meeting and lay my head on my desk. I started getting cold and so went to take a hot shower, hoping to heal myself. Not able. I needed sleep. I got a ride home, went straight to bed and slept late the next morning. I should have stayed in bed. Alas. I went to the pharmacy to get dark glasses. I wanted the kind a person with impaired vision might wear. The pharmacist sent me to The Eye Clinic. 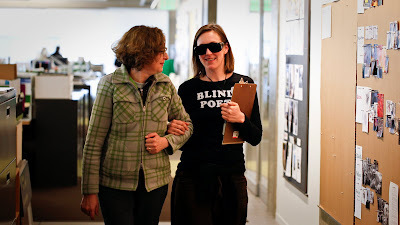 I explained that I was an artist planning to explore acoustics at an architectural firm as part of a poetry residency and that I needed dark glasses for a day. Dennis, the optician on duty at Olympic View Optical, gave me a loaner pair. Bring 'em back when you’re done. Who knew opticians were such an understanding bunch? The glasses were perfect! They were wide, tall and dark, but they weren't quite dark enough. I filled the lenses and side windows in with black construction paper. Then, I really couldn’t see. A few years ago, I spent a season volunteering with Ski-for-All where I worked with disabled skiers. Those with sight and hearing impairments wore bright orange vests with their disability spelled out: “Blind Skier,” “Deaf Skier.” This communicated to others that their normal visual and audio signals might not work and that they should give a wide berth to avoid the unexpected. 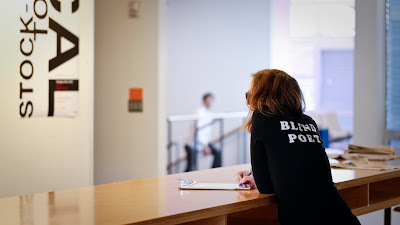 And so, for this project, I bought a black t-shirt and white iron-on letters and made myself a “Blind Poet” shirt, which of course I saw as humorous, but also as a way of invoking the audio space around us. And, of course, there’s this reference to the wise, unseeing soul and to our own hidden intuition the to the ways in which we rely on one another, especially to see and communicate our experiences in this world. My self-assigned task was to spend the day writing the audio-architecture of NBBJ. I had a clipboard, legal pad and pen. To start, I positioned myself on the little wooden bleachers in Village Vanguard, near a coffee bar. I was struck right away with how loud the space was, how busy the hallways leading into it. After a half hour, I was moved to a studio on the 2nd floor. Over the course of the day, I listened to 12 different spaces and took 38 pages of widely spaced notes. I was basically writing in the dark, so my lines go up and down and cross paths sometimes, but the writing is, for the most part, legible. I'd spend the next few days making sense of my notes and keying them into a computer. O, I heard many things! I heard a humming so vigorous the rooms were vibrating. I heard paper in hands moving through space, a hummingbird in a book searching for facts, a dandelion holding its breath and a radar of conversations in concentric zones. I heard a place where humans are louder than machines and a place where the world is in tune with the building. I heard the pfft of a soda and the crushing of paper, a beginning and an end. I had in mind, while listening, the fairness of the spaces and their potential for collaboration. My conclusion, based on this cursory exercise, is that collaboration is like anything, it's quality verses quantity. Coffee bars offer lots of collaboration, but the quality is low and the duration short. Spaces like the materials department offer quality collaboration, but the chances you'll run into a dozen of people from ten different departments is slim. Where so many of the spaces dwarf the human voice with vents & clicks & clacks & hums & drones, the materials department seemed capable of holding it. People seemed to be able to have longer, deeper discussions in the materials department because of it. The conversations in the vicinity of the coffee bars, nooks and worktables were just interludes, the noses and tails of things. The conversation in the materials department, separated from the noise, traffic and machines of the open work spaces, was more relaxed, in-depth, more of a heart than a tail. Over the course of the day, people joked with me, surprised me, played tricks on me, made silly sounds, offered me food and even drummed up conversation for me to hear. When no one was available to move me and I was finished with a space, I moved myself. When I moved from the model shop to the work table, I saw someone had surrounded me with sharks. I made tea twice during the day and lifted my glasses to do so. This elicited a good chiding from those around. What, you can just leave your disability behind when you want to?! 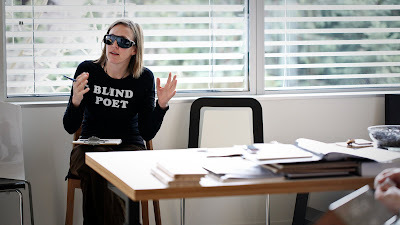 Blind Poet was both a practice and a performance. I'd put myself out to be seen. Being seen with a temporary disability gave people an opportunity to approach, to open, to chide. This sort of play allowed a new kind of community. No doubt, it made me more friendly and approachable. I am imagining the heads of companies taking the opportunity to put themselves in such a position, once a year, allowing their employees to relate to them in this way, in play, like the elementary school principal in the dunk tank at a school fair, how would that work to change the dynamics in a firm? Bob ran into me at the corner and questioned me. Was there a blind poet paradigm, a reference, I was working with? It started with Duane’s comment about hearing the architecture, in the two-dimensional drawings in his floppy books. I was fascinated with the idea that architects might be working with an unseen rendering of sounds. It added a complexity I hadn't considered before. I started wondering about the ways in which we experience space. I’d been thinking about emotions, how we experience spaces, emotionally, and what we do with those responses. I was then specifically requested by a worker to write about sounds and that sealed it. Listening was at the top of my list. Bob told me about a blind poet in a story by Ismail Kadare. I confessed I didn’t have a specific book or poet or character in mind. I’d read about the experiences of those who lost their eyesight and how the brain works to retain or let go of their stored visual information. I’ve read essays about people who have gained the ability to see after being born blind and how, if this happens after a certain age, they are unable to distinguish female from male faces and how they test distances by throwing things. One of my favorite authors, Max Frisch, wrote a book called Gantenbein about a man who loses his sight in a car accident and then regains it, but doesn’t tell anyone he’s regained it. He goes on pretending while seeing what others think he cannot see. It’s about what people show us and what they tell us and how far these things are from the truth. And there are, of course, those famous blind poets, Homer and Milton and Borges. 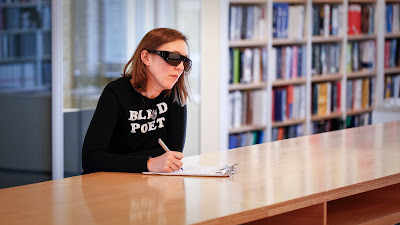 Here someone has made a list of blind poets. Unless you’re working in the healing arts, it’s usual to touch or be touched at work, but touch was such a necessary part of this project. In order to be moved from place to place, I had to be taken by the arm or take the arm of a guide. This required trust, communication and cooperation. We walked slowly, talking, but rarely about work. To keep from tripping, I peeked under my glasses when we were approached the steps, but on the flat surfaces I trusted my guides to lead me safely around. Interestingly, only one person introduced herself by name all day. Not surprisingly, it was someone who’d had an experience with sight impairment. I didn’t ask of the others who they were. I allowed them to remain anonymous. I recognized a few voices, but mostly not. When people were addressing me, it wasn’t always clear to me as they didn’t use my name. It wasn’t clear, either, when they were finished addressing me, as they didn’t say I’m going or Goodbye. I had to figure it out through the extended silences that marked their parting. Strange how much we rely on sight to begin and end things, how little we put into words. In reflection, at 6pm when the project was complete, I was touched to think of the collaboration required to make the day happen. Six people had moved me around, many others attended to me, gave me food, talked to me, put headphones on me, asked if I needed anything, said goodbye, joked with me. I’d put myself in the care of the community at NBBJ and so many stepped forward to care for me. I’m not one to ask for help, even when I need it. I pride myself on self-sufficiency. I know this causes difficulty for those in my life who would like to care for me. People have a need to be needed, I know. The art of giving is a skill I have learned. The art of receiving is one I am still perfecting. A day like the one I just experienced is truly heart-warming, the kind that makes one believe in people and in community, a reaffirming kind of day. The Blue Line is 1500' long. It is the pyramid I built and must now decorate. I spent 13 hours at NBBJ today, a Sunday. And I wasn’t the only one! There were lots of busy architects preparing for project deadlines. Actually, I spent my morning in Vivace, transcribing notes from my little red journal into my computer. I went up to approach The Blue Line at 11am. I worked on it for a while before a worker came in with his partner. She was not accustomed to the work space. Her voice was louder than all the voices on a typical workday. I was having some difficulty concentrating so I decided to go see what else I could do. I found myself at the beginning of my line, transcribing it into my notebook, something I’d been meaning to do for a long time. I had no idea it would take so long. I spent 7 hours transcribing The Blue Line. It was fun to revisit my thoughts and words. This task brought with it a few mysteries to solve. In 3 short sections, the words had been lost, washed away or moved. O my! 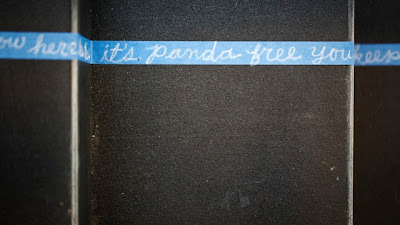 In one section, a longer strip had been lifted and put in the trash. I set about rescuing it. Come out of that bin this instant, dear words. I pulled a snowball of blue tape out of the bin, pulled it apart, straightened it and pieced it together in broken lines on the floor. Then I transcribed it and put it back in the bin and moved on. No tears. I asked about the public art in the alley. I got various responses, from excited to cool to neutral, but no one seemed to have any information about it. I did a little research today, even found the artist's telephone number. I decided to call him up. After two messages, we connected by phone and had a lengthly conversation. 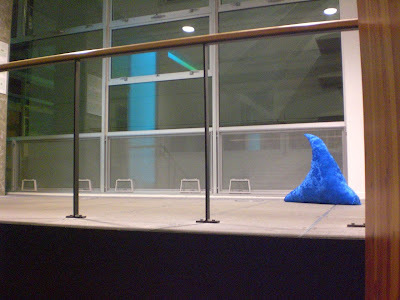 I was sitting at the work tables on the second floor of NBBJ, within view of the sculpture, with my notebook in hand. We spoke for half an hour. The artist answered all my questions and more. I did my best to keep up as he spoke and spoke. I certainly feel like I got the story. The sculptor responsible for the green polygon in Alley 24 is James Harrison of Portland, Oregon. He was hired by Vulcan to make an outdoor sculpture for this space. He was not the original choice for this site, but when the initial artist fell through, James was contacted as a second. He had worked with Vulcan before and they liked his art. James knew the piece would live in an alleyway and that the building was once a laundry and that an architectural firm would reside in the building. The artwork, made of colored art glass and illuminated from within, is titled Baladuese, which is French for wanderer or lantern. The term has some less flattering connotations as well, such as wandering finger or wandering hand, avoir la baladeuse has to do with moral behavior. The artist had three things in mind when developing this work: (1) The dirigibles of Brazilian aviator, Santos-Dumonte, (2) jewelry design and (3) the mathematical construction of a heptadecagon (17-sided polygon). Alberto Santos-Dumont (20 July 1873 – 23 July 1932) was an early pioneer of aviation. He was born in Brazil and spent his adult life in France, designing, building and flying the first practical dirigible balloons, demonstrating that routine, controlled flight was possible. He won the Deutsch de la Meurthe prize in 1901 on a flight that rounded the Eiffel Tower making him one of the most famous characters of the early 20th century. I suppose if you turned Baladeuse on its side, it would look like a dirigible and its size, in relation to the buildings around it, might suggest the hopeful Dumonte flying around the Eiffel Tower. The metal butterflies in the piece are meant to reference Dumonte's questionable sexual orientation. I didn't find any mention of this in the biographies online. It was only mentioned that he never married and had but one love, a married woman with whom he spent little time. The artist confessed to a fascination with jewelry design and liked addressing this interest in sculpture as it appealed to him an an architectural idea. He sees the piece as a giant jewel, faceted with delicate sensibilities. Baladeuse is 17-sided, which makes it a heptadecagon. 17 is an odd & rare number in math, one that references a great mathematician, Carl Gauss. In 1796, at the age of 19, Gauss, one of the greatest mathematicians of all times, discovered a construction of the 17-sided polygon using a compass and ruler. He was so excited he requested a heptadecagon be carved into his tombstone. And so, the 17-sided figure & reference to Gauss is a bit tongue-in-cheek from artist to architect, as a reference to non-euclidean geometry in a world based on strict euclidean lines. James explains one of idols is Martin Puryear who's pieces are prototypes or pre-objects, objects before they are objects. As you move around them, as shadows are cast on them, they become things, different things. James wants his pieces to be baggage-friendly. He's happy to have people bring interpretations to them and was surprised to hear the plaque with his name and the title of the piece was gone. I told James I was wanting to do something to activate the alleyway. He seemed excited and willing to do what he could to support this. He even suggested a willingness to call the appropriate authorities to authorize the tying of things to his sculpture. He seemed thrilled as well with the feedback I'd given him and commented on how, as as sculptor, you don't get responses to your work, you just sort of put it out there into the world. I borrowed an overhead projector (the old-fashioned kind with the hot lamps and transparencies sheets and projection lens on an arm above) from a friend this morning, bought two replacement bulbs for it and brought it into NBBJ. It looks like E.T. sitting on my desk, with its tall twisting neck and large head. I think it’s going to be happy here alongside my old school record player. Both have metal tags that say, “Do not remove from AV Dept.” I tested the projector out on the Giant Steps with a variety of pens for thickness and writing style. To write on transparency paper so that it’s right reading on the wall, you have to face the projector, which means away from the wall, and into the blinding light. Another backward project. Great! Before I begin, I will sit with some buildings and read about materials and spaces, much in the way I approached the columns. Then I’ll sit in the space and let the building talk to me. I spent my afternoon at Green Lake, collecting weaving materials, pine cones and needles. I'm not sure these are the right things, but they are working toward an idea. Still wading. The weather is holding, 50F & clear. I spent my morning on The Blue Line. Yes, still writing. I haven't tired of it, but I do struggle to find the time to do all the things I want to do, including writing. I have a book to assemble before this project is complete. Strange dilemma for a poet, wouldn't you say? Not at all. Finding time to write is the age-old wedge between many a writer and a finished book. I had lunch with Gregory, The Balloon Man. He’s been at NBBJ for 3 years, in the tax department. What a wonderful story Gregory has to tell! He’s been ballooning since he was a kid. His father was a ballooner. Now he makes his own balloons. Cloud Hoppers, he calls them. He’s made 7 so far. One of the ones he showed me took 5 years to make and he flew it 1700 miles from Albuquerque to Atlanta, which took 2 days, for a race. Such a trip requires helium, but shorter journeys use propane to fill the balloon. He told me about the joys of night flying and about lying on the bench at night and seeing the Milky Way up above at zero speed and how that changes your life. He has trading cards with pictures and facts about his balloons. The second balloon he showed me was tetrahedron, designed for one-person. That’s the one where you strap a propane tank to your back and can, if you want, dip down into the stream to wet your legs and lift yourself back up again. That settles it. I’m on Gregory’s list of summer helpers! Ballooners need people to drive around and pick them up after they land in a field near a road. I offered to gather a group of poets to go up and write about the experience for his website. Sounds like a good trade to me. I spent my afternoon following up on two projects I’ve been thinking of. I’m searching for vinyl records to correspond to the names of the conference rooms at NBBJ. 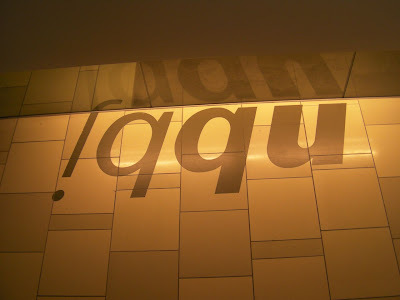 There are 30 rooms and public spaces named after famous jazz albums. I called the library the first week I was here to ask what they had. Nothing. Since then, I’ve asked friends, looked online and purchased the few available records at Golden Oldies. These albums are collector’s items. Finding them all will be either improbable or costly. Then I come upon Tom, who says he has most of these in storage. I urge him to pull them out!! I’ve been thinking about an alleyway project. There are lots of threads to follow in the alley. I feel as if I’ve been wading in this project for a long time. I’ve spoken with Dawn and Brent and Dan and Mylinda about the various ideas I have. Dawn and I have met several times to discuss the ways in which we might call attention to the intersection by weaving some naturally occurring material there. But what material and how? The various threads are the significant history of Alley 24 as a laundry for 80 years, the large green public sculpture and the multiple users: the residents, the workers and clients at NBBJ and the retail workers and clients. 50F cold & clear. Rowing is the calmest part of the day. The slowest, most focused and always the most rewarding. Going through that thick darkness to the south side where things move, where the houses & planes & boats & barges move. Where the wood bobs. Where the birds watch. Where the weeds float. Where the air brushes down. Casting off is as satisfying as tying up. A real accomplishment, both. Spent 4 hours writing in the 2nd floor nook at NBBJ. Sent an office-wide email letting people know about the sharks, who had made them and why and how to fully experience them. So many similar questions. I felt the need to announce them all, flatten the information out in space so that a large and shared space users might all know. So everybody has access to the same information & invitation. Attended another crit today. It lasted +2 hours. I was struck by the amazing amount of time that goes into studying the flow of people within building, pleased by it. While watching the slideshow presentation, I got to feeling about the emotions of the figures in the computer renderings. How will they use the space when they’re sad? How will they use it when they’re quiet? How do we experience buildings emotionally? What part to emotions play in designing spaces? All the while, I had a growing feeling that I was witnessing an exhibition of the love affair we have with images. Pointed out, in these images, was the wind moving on the water and the light on the building. Ahh, our fascination the image! I thought back to a course I took in college called Visual Culture. I wonder how the world is changing because of this attraction and, is it really, or does it just look as if it is? I wonder how images might be hampering us. I’m most interested in the critique with the stories I’m told. There are stories about men and women who use Legos to show the flow in a building and about an old battleship with a cargo of information no computer will ever hold. As the images disappears, the stories calcify. I do believe this is what Christian was talking about when we first spoke in December, about the architect as storyteller. At this crit, as at the last one I attended, a few people talked a lot and a few people didn’t talk at all. I wonder at the fear inherent in this model and about the humans collected in the space--a group of workers from different projects, different departments, some young, some veterans. It got me wondering about the walls that contain it and what is responsible for open communication. At this last crit, I was asked my opinion about thing outside the room when the crit was over, but not in it during the critique. The notion of collaboration and the flat discussion of a thing is all about putting it out under the eyes of the many who will think about and see it differently so that it might be fully illuminated and carefully turned. There are times we go off into the world with a polished thing seeking affirmation. Look at this beautiful stone of mine! I do it with my poetry. No doubt we do it with ideas. I wonder how collaboration and creation fit together, at what stages the two are possible? Do they coincide? Can they coincide? Does collaboration require that we meet before a thing is formed in our minds? Until what point exactly are we open to input? At what point is a thing set in stone? And, as far as the arts are concerned, what would we not see if collaboration were the model? And what would we see? The notion of collaboration keeps coming up, so I’m sensitive to it, looking around for it. I wonder about the kinds of collaboration possible in one space verses another. What is allowed in a hall? What is allowed in a conference room? What on a stairwell? At the door? By the coffee machine? Collaboration has roots in space, yes, but it’s also got roots in sound and in the intensity of an activity and in the work culture and the profession and the individuals themselves. It’s like a willow spread out at the edge of a lake, needing protection from the winds of our desires and fears. Tonight was the night I rowed home with Thomas. We planned to meet at 6pm and walk to the lake together. I offered Thom the oars. He wished to row. Shortly after pushing off, he asked what the bright lights on the eastern shore were. Looks like a boat in dry dock being worked on. Can we go see? Absolutely. We took the long way home, rowing the entire eastern contour, curving into every marina and around every piling, right up alongside the cozy honey-lit houseboats. We were surprised by outriggers silently passing. Just as they are passing they let out a hOH! I think they do that on purpose, to startle you with their stealth. Gotcha! We met two geese at the end of a pier, sitting together in the red glow of the pier-end light. When we crossed over from the east shore, we met a man in Gas Works Park on the concrete pier. We asked him, “What city this is? We’re lost.” He asked, “What are people doing in boats at night?” We countered with, “What are people doing in parks at night?” It took us 2 hours to get home, but we had a nice tour of the lake and the moon was high and full with clouds all around. And then.. there’s Mozart. I sit with the headphones on 20-30 times over the course of the evening. There is a magical opening up of space. Mozart’s “Eine Kleine Nacht Musik” wells up in me. It makes me feel as if things are right in the world, burstingly right. It transports me to the other places and spaces and times I've felt this way. I connect these moments into a timeline. Perhaps this is a picture of my spiritual life? I have spent the past three days sewing and stuffing shark fins, turning my gold pedestal into a blue pedestal, searching for the perfect music to say just what I wanted to say. I’ve been tuned into the classical station, looking for sharks. I heard one the other night. When I searched it out online, I found Elgar. Elgar! I went to purchase Elgar and Mahler. I listened to Tchaikovsky and Puccini. I borrowed Handel and Mozart. I’ve been asking everyone , “Can you hear the sharks, in what music?” I wanted to effect a sort of riveting release within the mind of the listener. It wanted dark and romantic, dangerous and freeing. In the end, I selected seven tracks, works by Mozart, Handel and Elgar. I wanted to encourage a breath. What can possibly override our mass work culture? The CD is resting in its portable CD player atop a slim pedestal, waiting. I want to give them a dream-moment, to expand their heart-visions. Where the building cinches, I want them to expand. The windows too want them to expand. And the light. And the ceiling and floor. I want to lure them in and rivet them to the spot, that forbidden place among the sharks. I want to make for them a spirit space. 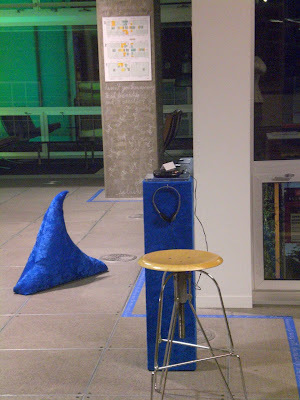 At 3am, I had the fins and podium arranged just so, signs affixed, play/stop buttons clearly marked. I went to take a nap in the Quiet Room. The couch in the Quiet Room is not designed for napping. I lay, sharply folded, for 2 hours, waking every half hour to see the red numbers on the digital clock. “Not yet, it’s not time yet.” At 5am, I stopped trying. I went down to the nook, to wait for the sun to rise. I was deep-down cold and reminded of my last overnight on Rainier in early spring, alone, camping on the snow, in a bivy. The temperatures had dipped to an unexpected low and I couldn’t get warm, despite the hot food and the hot water in the nalgene at my feet and the emergency chemical packs ripped open after so many years in my first-aid kit. That night, I lay staring at the clear dark sky with its clear-cut crystals. Surely the sun will rise, at some point. It’s just a matter of time. But no, it refused. I lay, hour after hour, minute after minute, counting stars, waiting. When the first light did finally appear, it was epic. It was The First Sunrise. It signified something huge, Life. It isn't often the sun Signifies in such a monumental way to a suburban girl in the city. It is just before 7am. The first person arrives. I am silent. They walk by. They do not sit in the chair. They do not listen to the CD. Woe. O woe! A second person arrives. He greets me, but does not stop. Don’t worry, little poet, this is their routine, their daily comfort. Let them have this. Lunch in the frig, coat in the closet, bag in the desk, lamp on, computer on. Perhaps my presence near the work will thwart them? I remove myself to the opposite nook, out of view. I can still see one fin, along with the listening chair, in the reflection of the model shop window. I want to write about the piece. I want to watch the light come into the sky from here. There goes a third person without stopping. This is normal. People are used to arriving, beginning their day, without you, without this work. It is early. So much can be accomplished before 9, before the meetings and telephones and lunches. Seize the hour, you architects of efficiency! A poet must be patient. Your audience will come. When they are ready, they will come. O, but I’m anxious to know, to hear, to see. Here now, a twosome arrives. There is light conversation, a burst of laughter, the word shark is uttered. The woman puts the headphones on. It is 7:02am. Halleluja! Mozart has arrived. I converse with my first listener. “The music is beautiful,” she says. She’s coming back for more, but later, after she gets some work done. She agrees, the nooks are too public to refresh, but they're good for conversation. I ask, then, where and how will we refresh? The sun is still refusing. It is 7:30am. The coffee machine greets the workers. I greet the coffee machine. Small, regular. I position my cup to catch the morning. I peek around the corner at my work. It delights me. If no one else sees this all day, it will satisfy me still. Here now, the first hint of light, at 7:38am. It has been a long and impatient night. The white-gray growing in the sky is in the concrete family. It goes well with the building’s skin, with the metal sunshades. If I were coming into a familiar space and glimpsed a new work of art, would I see it? I missed the portraits by the water fountains, I missed the frosted quotes on the bathroom mirrors, the first week I was here. And if I were to register this new work of art, would I stop right away to enjoy it, or would I put it off and come back when I was needing a breath? There’s no telling. The workplace is not a changing gallery that requires our eyes and ears. Work is work and home is home. These are our knowns. The telephone and computer brings in the news. As the day goes on, I overhear some comments. "We have some sharks in the lobby today. 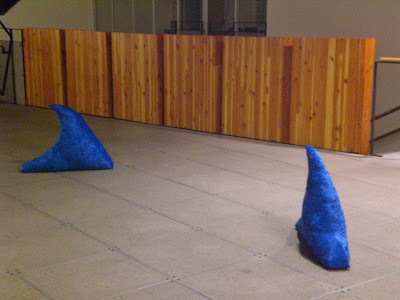 They seem to be following the blue trail." "This is it, life and death." "O? Whales!" "What are they?" "I bet this was the poet." "Love it!" It is 9:14am. Somebody saw somebody heading for the coffee bar. Their greeting? "Hey slacker!" There it is ,that keep-it-moving attitude, that ever-leaping attitude. This is what I’m up against. Grin and bear it, sharks. Grin and bear it. This will take some time.